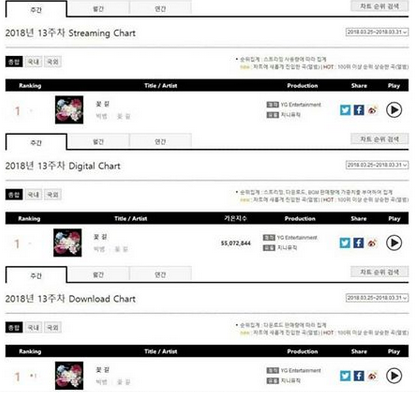 BIGBANG Reach Triple Crown for Flower Road in GAON Chart - The king never take off their crown, while members busy with their military and self business, BIGBANG hit triple crown for their single Flower Road. 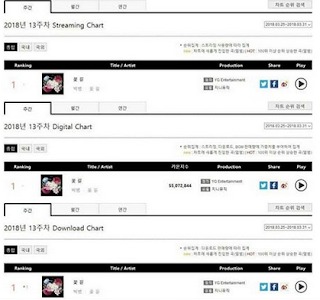 At 5 April, GAON announce grafic result of this week, from 25 March to 31 March. BIGBANG successively hit top digital trafic for Flower Road in 3 weeks. Here the digital result of Gaon Chart 25-31 March 2018.